Much like the Knickerbockers and Peskywolves own the Utah Jazz, the Utah Jazz owns the Honeybees Hornets and the Pistons. Encouragingly, it was the J’s first three-game win streak since they went 5-0 to open the season. Memo was conflagrating and torched his ex-team, going 8-9, including 3-3 from 3, in the first half. 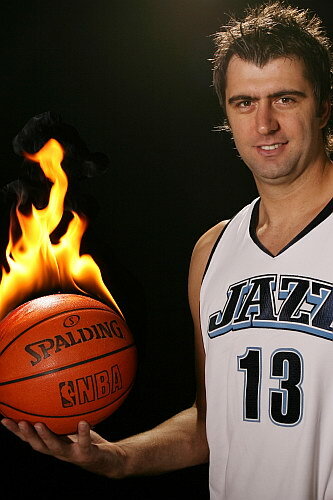 He got into foul trouble midway through the 3rd, but as AK said afterwards, he got the Jazz off to such a hot start that by the time he left the game, the Jazz didn’t need him anymore. DWill was either still under the weather or his shot was still AWOL. 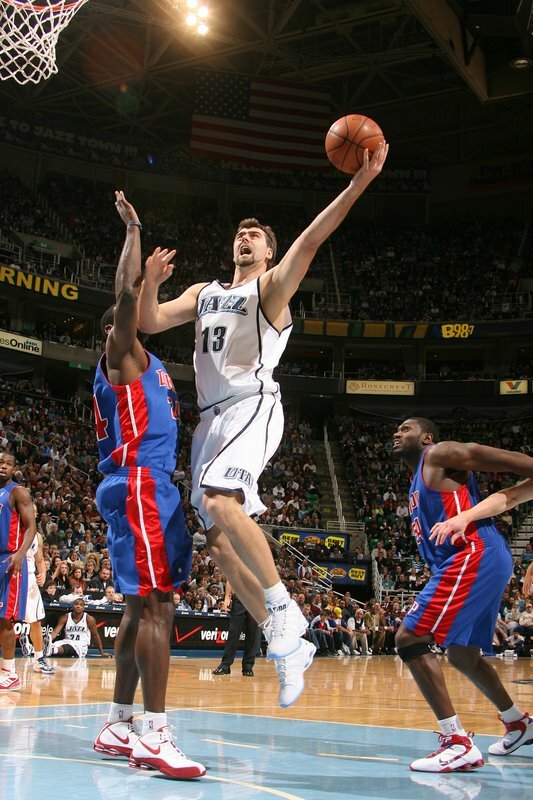 AK had a very AK line with 11, 7, 7, 2, 2 and was diving for loose balls even in the 4th with the Jazz up by 20. And though he came close (9&7), Sap’s streak ended as he only played 22 minutes. Can we leave Boozer and Millsap and just sign Jerry Sloan instead? Boozer strained his quad Nov. 19 against MIL. The injury somehow failed to get better or improve as the weeks dragged on. Around Missed Game #15, Boozer got his second MRI, which was “inconclusive” like the first. He then flew to LA to get a third MRI around Missed Game #20, and his personal doctor, Richard Ferkel, decided on Dec. 30 or 31st that Boozer needed surgery. I’d think it was a joke if…well, if it didn’t involve Boozer/a Dukie. Boozer is now out for at least 4 weeks of rehabilitation. I didn’t know any of this when I woke up this morning, and was therefore quite confused when I tuned into KFAN and heard Locke and the other guys questioning whether the Jazz FO would be able to get any information from Boozer’s doctor (due to patient confidentiality), and whether Boozer and his agent would be able to bamboozle Jazz officials into believing his condition was much more serious than it really was if they could prevent contact between his doctor and the team. Just 12 hours before that, all of the KFAN guys were defendng Boozer like it was their own personal reputations at stake. Nissalke said in the post-game that he doesn’t think Boozer will be back at all this year. The 1280 guys, in their post-game, had this to say. All sideshow drama aside, maybe the damage has been done and it’s time to cut the cord. It’s hard to say since it’s only been three games, but it seems like the Jazz have turned the corner and have a new mindset to start their season for real. This may be attributed to the guys no longer (subconsciously?) waiting around for Boozer to return to the lineup, and instead finally moving on and ahead without him. ← Game 36 — Wooooooooo!